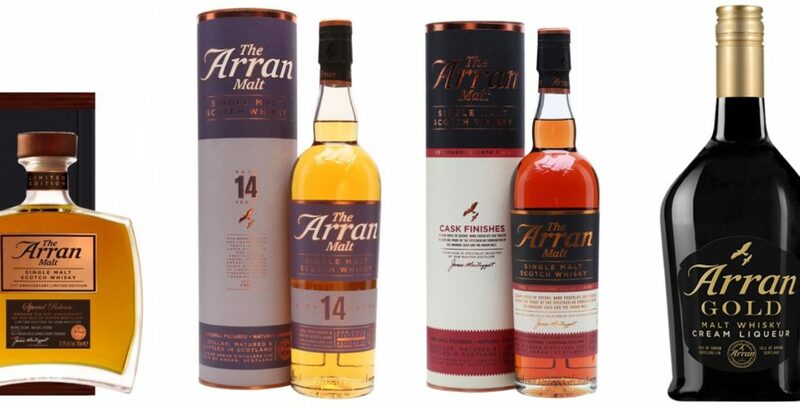 A taste of the Arran 14 year old comes as standard with the tour – in fact, it kicks the whole thing off! It was first released at the end of 2010 and took over from the 12 year old as Arran’s core bottling. Like all Arrans, this hasn’t been peated, so is quite gentle – lots of dried fruits, vanilla and toffee on the nose, with apples and pears on the palate. However, it was the final burst of spice which really did it for me. When I spotted this pre-tour in the shop, I knew I’d to have a taste it, as it’s the only Amarone finished whisky I’ve ever seen. After initially maturing in traditional oak casks, the whisky is then placed into a selection of Amarone wine casks from a producer in the Veneto region of Italy. On tasting, the nose reminded me of strawberry yoghurt, with a bit of honey mixed through. But the palate tasted more of pears, Turkish Delight and dark chocolate. Arran’s 21 year old is the oldest ever whisky to be released by the distillery. A blend of spirits created during the first three years of production, this special release has been aged entirely in sherry casks and only 5,988 bottles have been produced. The extended sherry maturation makes it extremely rich, with tropic fruits mixing with red apples. Again though, the palate has more pears and sweetness, with the character of the European oak coming through in the form of black pepper spice. Something quirky to finish on. The Arran Gold Cream Liqueur mixes Arran single malt with high quality Irish cream. AND IT’S JUST LIKE DRINKING TOFFEE/FUDGE!! A couple of the drams didn’t quite work for me – mainly, the peated Machrie Moor, although I’m sure they’ll master this at their second site on the island, which is due to open in 2018.